While in Cleveland this past week for the High Holidays, I decided I needed a little glitz and glamour to welcome in the new year. 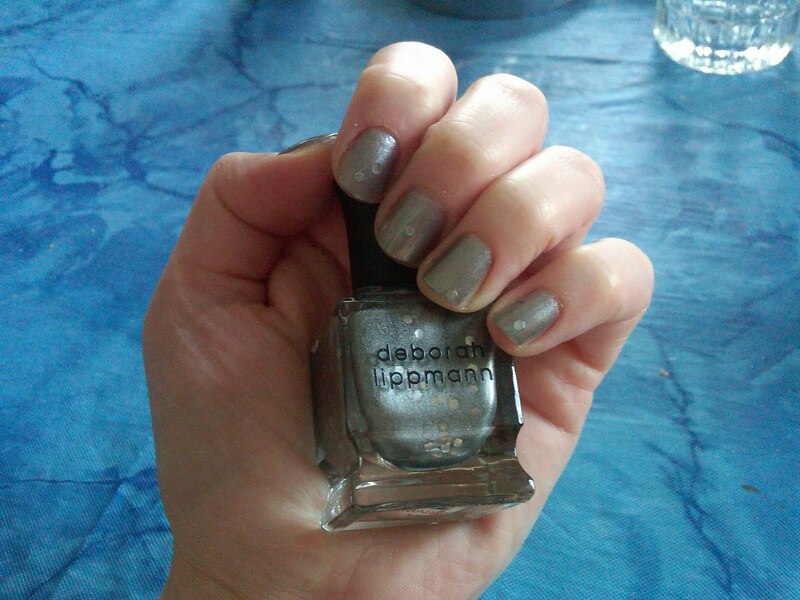 And there was no better choice than Deborah Lippmann Marquee Moon. WOW, I love this polish!! Originally created for the Rodarte Fall 2009 fashion show, this silvery polish is IT, as metallics go. I love the oversized sequins embedded in the steely silvery grey polish -- they scatter haphazardly on the nail as you drag the brush across, so you have no idea where they'll end up. The polish really ends up looking like a futuristic version of a starry sky. And even better, the polish really applies well -- not an easy feat for a metallic! No brush marks or streaks, even with two coats, which left me feeling super impressed. Actually yet i did not tried this nail polish color. But it's really good. I want to try this once. I really love that nail color! This week I'm wearing Sally Hansen's "Fuschia Bling Bling."